Darcy Grabenstein: Hello from SmartLinx Solutions! Our guests today are from the National Transitions of Care Coalition, or NTOCC. Dr. James Lett II, president of the coalition board of directors, is currently medical director of Avar Consulting Inc., which has a contract with CMS to oversee some aspects of the National Quality Improvement Organizations that oversee the quality and care of Medicare enrollees. He’s an experienced geriatrician in care provided in hospitals, nursing homes, and other sites of care. He most recently served as medical director and vice president of medical affairs for an extensive senior citizen complex, including an assisted living center and a long-term rehabilitation and nursing center. He has worked on three reports for the Office of the Inspector General to identify and quantitate adverse events in post-acute care. His passion is transitions of care, in which he has been involved with multiple entities, including CMS, ORG, and multiple national medical entities. Jackie Vance, also coalition director, who is senior director of clinical innovation and education for Mission Health Communities. Jackie is a registered nurse certified, and holds a bachelor of science degree in nursing. Previously she was director of clinical education at Sava Senior Care. A nurse leader, she has over 20 years of experience and expertise in clinical geriatrics and the long-term care market. 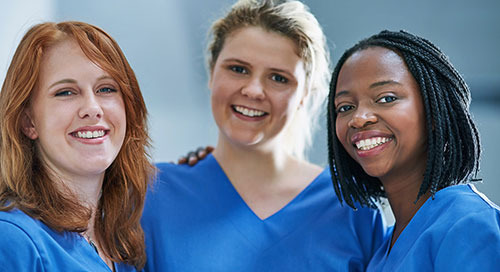 She has built a unique set of skills for clinical program development with corresponding education that incorporates Triple Aim, the IMPACT Act, ACO, Managed Care, and Bundled Care components. Her specialty is quality management, including QAPI, PDSA, and Baldrige. Welcome, Jim and Jackie. I hope you don’t mind if we keep it informal for today’s podcast. Dr. James Lett II: I’d prefer it. Thank you. DG: According to the coalition’s website, the coalition is dedicated to addressing issues related to transition of care, obviously. Its mission is “to raise awareness about transitions of care among healthcare professionals, government leaders, patients, and caregivers to increase the quality of care, reduce medication errors, and enhance clinical outcomes.” The coalition was founded in 2006. Jim, I’m going to start with you. Could you tell us a little bit more about how the organization came to be, and who belongs to it? JL: Happy to, Darcy, thank you. I think the embryo of all this began a few years prior to the actual organization of 2006. As clinicians, we had been noticing in our patients, and in my case even in our families, that moving patients from one site of care to another was not going well. And as I talked to other friends they said, ‘You know, we’re noticing the same thing.’ We talked to our organizations about this, about the flaws we had been seeing in moving patients safely and well with the right information from one site of care to another, and they said, ‘Wow, you know, we’re noticing that too. Why is that?’ And as organizations started talking to each other, they all said, ‘This is not a personal problem. This is not a local problem. This is a national problem.’ And, as we found out, an international problem. And as we were having those talks, then came what to me was a sentinel study in about 2009, with James Coleman Williams that said for Medicare patients, nearly 20 percent of them who were discharged from a hospital were back in the hospital within 30 days, and half of them who were back in the hospital hadn’t even been seeing a care practitioner after leaving the hospital. And that to us really solidified that there was a problem. It seemed also to ignite a national debate and allowed people to see the need for better transition. So NTOCC came together with thirty-some organizations, hospital groups, national medical organizations, nursing organizations, the VA, case management, all of us who were involved in the care of people moving from one side of care to another just said we need to do something. So we came together and have tried to do just that. We’ve created resources for the healthcare industry that assist providers, and especially patients and family caregivers improve the communication during the various transitions. That is, hospital to home, hospital to post-acute providers, primary care referrals to specialists, etc. We really want patients and family to be involved in their care options, but we found that although they wanted to be involved they didn’t even know the questions to ask about their loved ones. And if you don’t know the questions, you can’t begin that participation process. And therefore, we developed some resources, such as “Taking Care of My Health” and “My Medicine List” are the names of those two that are available on our website that really allow patients and families to write down their thoughts, write down their questions, write down their medications before they go into the doctor’s office. Because as I have begun seeing physicians and clinicians myself, I find that your brain absolutely goes empty when you go into the doctor’s office and he or she says, ‘So why are you here today, Jim?’ So these tools were developed to allow you to write it down before you go in and have those good keen conversations. So NTOCC has tried to define the various gaps and barriers to good transitions of care, and we have shared that information with the industry in general, and now we’re offering some interventions that have shown positive changes that improve transitions. On our website, I’ve mentioned two tools that are already there, but we also have a literature compendium of articles that we’re going to talk about briefly later on. We’ve also developed a software that helps hospitals and post-acute facilities track and report on quality improvement interventions for their transitions. We’ve also been involved and continue to be involved on the policy front, addressing transition issues with legislators and regulatory agencies, specifically around our concerns of patient safety, improved communication, medication management, and shared decision making. DG: Wow, you do a lot. Jackie, is there anything else that you’d like to add? JV: I think Dr. Lett was extremely inclusive in articulating NTOCC's passion for improving transitions of care. DG: Let me switch to the definitions. For our audience, could you explain the difference between care transitions and transitions of care (TOC)? JV: Absolutely. So care transition refers to the movement of patients or clients (I’m going to use the word “patients” to include both). It is the movement patients make between healthcare practitioners and settings as their condition or care needs change during the course of a chronic or an acute illness. For example, when a patient moves from the hospital to the post-acute setting following a hip replacement. Transitions of care, or transitional care, refers to specific sets of actions designed to ensure coordination of care and continuity of care, all with the goal of the best outcomes possible for the patient. DG: Thank you. Dr. Lett, would you like to comment on this? JL: A few comments, yes please. So in effect, transitions of care, that set of actions, is a subsection of the broader concept of care coordination, or coordinating the entire care of the patient. And I think another key point is that there are many types of transitions of care, that is, that subset of care coordination within settings themselves. I mean, we think about the hospital as an entity, when in fact when you go to the hospital you really usually go to the emergency room, you see an admitting nurse, you may see a nurse practitioner, physician assistant, or a physician. You may see a sub-specialist, you may have various interventions, such as lab being drawn, X-rays taken, etc. And you may even be transferred to operating room, to an intensive care unit, to a hospital unit. So you really have multiple handoffs in your care even within a specific setting of care. A second type of transitions is between settings themselves. As Jackie mentioned, you’re moving from a hospital to sub-acute care or from your primary care physician to the hospital, going the other direction. A third type, and one we don’t pay enough attention to, I believe, is across health states. That is, an 84-year-old gentleman who plays golf every day in Florida, is very healthy, suddenly begins to cough and starts coughing up blood, goes to the hospital emergency room and is found there to have end-stage cancer of the lung. He has just transitioned from curative care and good health state to palliative care or hospice. So that’s an important thing as our health changes with ages and with illness. And the fourth major type is between providers themselves, a specialist to a generalist, a nurse practitioner to a PA, an acute care provider to a palliative care specialist. So even within the major transitions, there are microbursts of changes and handoffs. DG: Yes there are. Our audience is mostly long-term care professionals, so I want to focus on some of the tools and resources you offer to providers. For instance, your website has a comprehensive transitions of care checklist. Jackie, could you give us a few key components of that checklist? JV: Yes. Actually, I’ve used this checklist and I love it. It was developed to guide care providers and developing facility-specific tasks that can standardize and improve their transition process. It was developed from, as Dr. Lett said, in 2004 we started looking at what are those gaps and barriers related to poor transitions of care, and then incorporating that into a checklist so you can look at where your transitions papers — those papers are an extremely important element. Let’s say that when you send a patient to the hospital, did they get to the hospital, did the hospital use them. When you receive a patient back, did you receive a very good summary of the course of hospitalization. I mean, that’s just one element in that. So it really has a ton of elements, and it’s meant to be used as a team tool. And this is what I love about it, in which various individuals are responsible for specific interventions. And that major component of teaming is extremely important because it does away with a patient assessment conducted just by one of several professionals. You know, it’s not just the nurse doing it or the case manager or the pharmacist or the social worker. It’s causing people to get rid of those silos in healthcare, which really does cause — I mean, all the studies show that — it’s leading to all these poor transitions. It’s this new concept, people have to actually talk together. JV: It’s a great concept. And the checklist is very comprehensive. And, Darcy, it covers everything from family and community support, cultural factors, and healthcare literacy, because very often we’re just handing patients some education — OK, you’re going home now, here’s some education on your diabetes — without realizing they can only read on a fourth-grade level, or English is their second language and you’re giving them something that they don’t totally understand, you haven’t given it to them in their primary language. The medication list and the reconciliation of new medication for that treatment. And the last one I just mentioned — medication reconciliation — is critical, due to a very high percentage of patients returning to the hospital after being sent home due to a medication error once returning home, either due to a medication being left off the list, a patient not understanding that they’re not supposed to continue taking those medications that they have at home along with that list that wasn’t reconciled and they said ‘You can still take that medication,’ or duplication of medication. So, for example, they went into the hospital and they were on this beta blocker and at the hospital it was changed to a different beta blocker because every single place you go has a different formulary or they made a change, and then they are in the post-acute setting which basically the same beta blocker they had in the hospital but it’s a different formulary change because like I said every setting has its own formulary, but at home they had a different one and now they have four beta blockers that somebody put them all on the list without realizing what they’re doing, they’re just throwing every medication down there and now the patient has four beta blockers and winds up back in the hospital. And that’s a critical element of that checklist. DG: Sure it is. I know someone who experienced a similar situation and, like you said, it’s critical. Your website also offers an interesting program called the Care Transition Bundle: Seven Essential Intervention Categories. Jim, could you just give us an overview about this program? JL: I’d be happy to, Darcy. What NTOCC did was, we realized that there were a number of programs that were validated to reduce hospital 30-day readmissions, but they seemed to be specific to a site of care — things like Project BOOST for the hospital, Project RED for the hospital, INTERACT for long-term care, the Care Transitions Intervention by Eric Coleman, the Transitional Care Model by Mary Naylor were more out-patient. Thus, what we wanted to do was not create a program tied to the site of care, but a program that allowed us to tease out the most important pieces, the key elements of those programs that any entity, any site of care could independently use, either in a bundle or by themselves, depending on the needs of the organization. So it was intended to be, if you will, a non-denominational list of categories of the best aspects of transitional care. Shared accountability, that is, we can’t just push people on to the medical transport and wash our hands of it and say, ‘Wow, we did a good job.’ You really have to have accountability across providers, across organizations to ensure that care. And editorially, I would like to also add: be sure that we’re addressing end-of-life issues. What do people want, where do they want it, do they want anything at all. DG: So we mentioned earlier the comprehensive compendium of articles. If you go to the website you’ll see they’re categorized by care strategy and care setting. Users also can search by patient type, resource type, provider type, by date, or by keyword. In the skilled nursing facility alone, I was amazed you’ve got 59 articles. So Jackie, how is material selected for the compendium, and how often is it updated? JV: Well, to create a compendium NTOCC did a literature search, identifying articles that distinguish issues and solutions related to improving transitions of care, and then they put them into the different categories you mentioned. The compendium is updated every two to three years and is actually due for an update this year. DG: Good, so we’ll keep our eye out for that. As I mentioned, our audience is predominantly long-term care professionals. Jim, would you say that transitions of care differ from a long-term care perspective as opposed to, say, from a hospital’s perspective? And how are they the same or different? JL: Well, I’ll tell you, when I started in practice, the people that I was seeing in hospitals are now in long-term care and skilled nursing facilities. So there’s probably more similarity than difference at this point in time in the skilled facility and in the hospital. And some of those similarities are pretty obvious. That is, the patients in general tend to be more elderly, more frail, multiple comorbidities, multiple medications. It is not unusual for me to see someone transferred to a nursing facility taking 15, 20, or 25 different medications. There are often cognitive issues, and that goes along with the shock of being in the hospital — depression, delirium, and just trying to get their bearings after being snatched from home with an acute illness, then in the hospital. And also the fact that precision is so essential in both the long-term care and the hospital setting. Now there obviously are some differences, and I think the chief two for me, one is that in a skilled nursing facility you’re going to have less staff, you’re just going to have fewer people in the facility as opposed to the hospital. And fewer professionals on site. That is, doctors tend to visit skilled nursing facilities, while in hospitals at this point in time you tend to have hospitalists and others, emergency room physicians, others that are there all the time. We also tend to have a thinner bench; that is, we may have a single discharge planner while the hospital may have a discharge planning department. So less staff and less staff on site, number one. And number two, I think the thing that is so troubling for those of us in long-term care is, we really have little to no control over where those patients, where those residents are going and the circumstances into which they are being discharged. That is, when you leave the hospital, there is a clinical structure at the skilled nursing facility, even though it’s different. The hospital has some assurance that read orders, they send in information, they maybe even talk to the facility — hopefully they have — about the patient. So they know where they’re going. But for us, when we discharge them from a skilled facility, we can’t force the primary care physician in the community to see them. And it may be days, weeks, or even longer in some parts of the country before they can see their primary care physician. We don’t have control over who is going to see them; that is, maybe they need to see an orthopedist, maybe they need to see a neurologist. We can’t control that and we don’t know if they’re going to be seen or when. We don’t know things such as can they afford their medications, do they have transportation to pick them up, do they have the ability to check their own blood sugars as they needed to be checked and could be checked in the skilled facility. DG: Thank you. Jackie, I’d like you to chime in on this. I know about all these transitions firsthand. My mother went from living alone by herself, then she ended up in the hospital, and then she ended up moving to an assisted living facility out of state, to be near me. And then she transitioned to a nursing home. And so I wish that I had known about your organization back then. Would you like to chime in on what Dr. Lett just spoke about? JV: I would. And, you know, it’s funny, you can go to eastern Mongolia and stick your ATM card in a machine, and it knows who you are and exactly how much money you have. We have yet to come up with some universal electronic healthcare record system that allows us to, as healthcare providers, access someone’s records. We are the most expensive in any country at delivering healthcare but number 10 in healthcare delivery. We repeat tests, we have to do all types of things because we are not speaking to each other. With the tools that NTOCC is developing, if everyone would access them and utilize them, we really would improve the healthcare delivery in this country. But beyond your question as far as the difference between hospital perspective and what’s happening in long-term care, one issue that has been increasing over I would say the last decade, especially in our rural areas, we’re getting a lot of younger behavioral care patients, patients with extreme psychiatric diagnoses, because there’s no other place to put them. And we are forced to comingle, cohort these patients with our older adults. We are under regulations where unless they have one of three diagnoses, which does not fit these people — they don’t have Huntington’s disease, Tourette’s, or schizophrenia — we’re told we have to put them on a gradual dose reduction of their medications when they still need, so many times then unfortunately they beat the heck out of somebody. And we are surveyed on them as if they are an older adult with a dementia and behavioral problem. We are not trained — our physicians are not trained, our nurse practitioners aren’t trained, our staff nursing assistants do not have training on dealing with this. So this is becoming an increasing problem, transitioning them and finding a place when they need to go to a hospital and transitioning them is becoming very, very difficult. So this is something that we as a body, I know the Society for Post-Acute and Long-Term Care Medicine, I know that the National Association of Directors of Nursing Administration are reaching out to CMS for assistance. So it’s very different — a hospital gets a person with some type of — basically they take them in and then you know, they just send them out. And for the long term on those transition issues, it’s something that we have yet to know how to deal with properly. DG: Thank you. Previously in this podcast, I think Dr. Lett mentioned cultural differences. And in our last podcast we spoke with XinQi Dong, who is director of the Rutgers University Institute for Health, Health Care Policy, and Aging Research. He’s lead researcher of a population study of Chinese elderly, and one aspect of his research focused on how healthcare professionals can provide support through understanding cultural values. One of the tools you provide healthcare professionals is a paper on cultural competence, an essential ingredient for successful transitions of care. Jackie, could you give us some details on how this actually translates into an everyday scenario? JV: Sure. I mean, in healthcare we have a very diverse population in pretty much every city and town you go in. So it is important for us to be culturally competent. Cultural competence allows us to respond respectfully and effectively to people of all cultures, languages, classes, races, ethnic backgrounds, religions, sexuality, and other diverse factors, and in a manner that recognizes and values the worth of those individuals and protects their dignity. This paper is very good at explaining the different areas of cultural competence and how that needs to be an essential ingredient for successful transition. DG: Jim, would you like to elaborate on that? JL: Yes, I’d appreciate it, Darcy. There is a generation of clinicians, and I’m one of them, that was raised in a time in this country when there really wasn’t very much diversity in our communities or the sites of training. And it is so important. We have become so diverse, which is a positive thing obviously for this country. But we sometimes forget about that diversity. And the paper is very good at reminding us, you know, it’s lovely that you sent that nice set of discharge instructions home but did you know this patient doesn’t speak English, isn’t able to read the English language. So the recognition that you have to be thoughtful in your transitions around the needs of the patient and family is just a constant necessary reminder for us. And also, the cultural differences. Sometimes I will — and have found out later — make a recommendation for discharge and transition, only to discover that what I had suggested, which was sound medical science in the way that we understand it, is anathema to the culture into which I ask them to perform these actions. End-of-life discussions, those types of things, during transition. Again, customs that I didn’t know, I didn’t think about, I should have asked about, make those conversations difficult and sometimes make them impossible. So taking a cultural competence paper and just using it as a reminder that not everybody out there is exactly like me, thinks like I do, lives like I do, and believes like I do, is so important. DG: It is. Now, to be notified of new resources such as this cultural competency paper as they become available, you must be a coalition member, is that correct? JL: If you want to receive notices from NTOCC about our quarterly newspaper, the IMPACT sheet that we put out, all you need to do is register on the website as a subscriber. DG: So what’s the difference between becoming an associate member and a subscriber? And is membership free to organizations? And then, what about if you’re a corporate entity and you want to form a partnership? JL: OK, all excellent questions. Is it free to organizations? And the answer is yes, there is not a charge for being a subscriber or an associate member. And differentiating those, a subscriber is that individual member who would like to receive our policy alerts, notifications of resources like the culturally competent paper we just talked about, and the IMPACT newsletter. Now an associate member is a healthcare entity, like a hospital, an insurance company, a post-acute facility, a group practice, etc., that wants the information described above, but is also willing to be involved in testing some new resources or taking surveys, which we conduct from time to time to identify current issues with transitional care. DG: Got it. And what about corporate partnerships? JL: Well, our corporate partnership is really the financial backbone of NTOCC. They’re committed to supporting the work that we do of improving transitions, and they work with our board of directors and our advisory group, which is the associate-type members that we talked about above, to work with everyone in setting strategic objectives and setting projects that we’re going to support. And the corporate membership partnership is open to any organization that is willing to work as a funding partner of the coalition. DG: Got it. At SmartLinx we’re all about technology. And in senior care, as with other industries, technology, as we know, is moving at warp speed. So Jim, can you tell us about the Healthcare IT Innovations Task Force? JL: Well, the good news is that this was a forward-looking group of tech companies that wanted to address the issues of improved and better technology. And we’re not going to go anywhere in transitions without exactly that. The group was very active for about three years, did some pretty innovative things, and over time unfortunately we have been — it has been a victim of industry. That is, the groups have been absorbed by larger tech companies who really felt they wanted to do their own research and development and not through NTOCC. So at this point we have not rebuilt that group, as we just haven’t had a partner who has been willing to chair the committee and drive it. DG: OK, got it. Jackie, on the topic of technology, can you talk about the transitions of care evaluation software? JV: Oh yeah. First of all, it’s free. We love free things. And I love it. And you know, you talked about QAPI and data and I’m a real data geek, I love it. So it’s a free web-based evaluation tool. So it allows you as a long-term care facility to assess your transitional care efforts. NTOCC developed this software to support those smaller entities — you know, home care, post-acute facilities — in monitoring, tracking, and recording the interventions you put in place to improve transitions of care. The tool facilitates data entry, data analysis, and report generation in a really easy-to-use format. Using the secure internet website access through NTOCC’s homepage, and security is extremely important, if you’re putting in data you need to be assured that it’s secure. And then users are able to input individualized data over time because you’re looking at things over time, you’re setting benchmarks, and you want to see how you’re doing and if you’re achieving them. So this year, I’m really excited about this because we’re working at adding a specific module just for heart failure patients, because you’re probably aware and most people in long-term care are aware that heart failure is one of our largest reasons for bounce-back into the hospital. So this would provide heart failure-specific interventions for improving transitions to care, and currently the quality improvement project is in development and we plan to release the new module at the end of this year. DG: Great, we’ll look for it. I have one more question for both of you. Jackie, I’ll start with you. What trends do you see for transitions of care? JV: Well for me, with the implementation of the IMPACT Act, macro payments changing from fee per service to bundled or shared payments for episode of care. So whether or not providers want to focus on transition of care or not, they are going to have to, which means, like I said before, new concepts, communications between setting providers is going to be key. Come on, it’s about time. This is going to improve outcomes for our patients. I also think we’re going to start to see a focus on mental health in transitions of care, like I said, in adult behavioral health. It’s coming to a facility near you if it’s not there already. We’re going to see more patient engagement and shared decision making. And also I think we’re going see a lot more on the national crisis issue of opioid addiction. NTOCC is already working to support awareness and access of non-opioid therapies along with education of patients and family caregivers about the risks and management of opioid medication. So stay tuned because you’re going to start to see a good bit about that on the NTOCC website. DG: All good points. Jim, I’ll ask you the same question. Where do you see transitions of care headed in the near future? JL: Well, a couple of thoughts, Darcy. I think, number one, information technology has got to be the superhighway for improvement of transitions. Jackie pointed out about using an ATM in eastern Mongolia, and I actually had the experience of going to Heidelberg, Germany on a work assignment, putting my ATM card in, and it had all the information, it asked me what language I wanted to use, it gave me money and said have a nice day. And the elders’ use of technology has really been skyrocketing; they’re one of the most rapidly adapting populations for IT. So I think technology is going to be important. I also see us starting to focus on specific disease and environmental states. We now have some programs that are site specific, I mentioned earlier transitions from the nursing home, transitions from the hospital, etc. I think we’re going to have to focus more on specific disease states within those sites. That is, people with dementia, which is a huge and a growing issue, how to transition them safely. Jackie mentioned opioid addiction, mental health states, the dual Medicare/Medicaid status has to be recognized in order to get good transitions. And socioeconomic factors; that is, we can give people the best care in the world at a post-acute facility or in the hospital, but if we send them back to the same environment, the same conditions — it could be poverty, it could be lack of education, it could be many things. But if we get them well, return them to the same environment that allowed them to get ill in the first place, we’ve wasted our time and our money and we’ve ultimately hurt that patient. And increasingly we’re going to see payment policy drive provider behavior. And I think the biggest thing is, there is going to have to be and will be further understanding that transitions of care are the nexus of the future of healthcare. If you have an ACO, a bundled payment plan, a Medicare Advantage plan, a Medicaid prepaid plan, a hospital — and with things like hospital and stiff readmission penalties — if you don’t have good transitions, you are going to fail. You are going to fail financially, you’re going to fail clinically, and you’re going to fail the patients that we are supposed to serve so well. DG: Thank you, Jim and Jackie, so much, for sharing the coalition’s resources for healthcare professionals with us today. And to all our listeners, thank you for taking the time to tuning in. If you’d like to learn more about the coalition, visit NTOCC.org. And if you’d like to learn more about SmartLinx Solutions and our fully integrated suite of workforce management solutions, visit us online at SmartLinxSolutions.com.